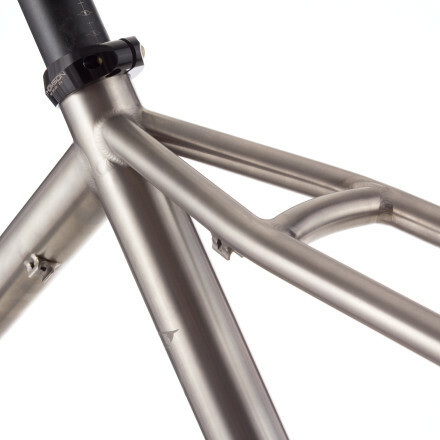 Beginning in the late '80s and throughout the 90's, Titanium has always been considered the ultimate frame-building material, and Merlin was one of the first to bring it to market, making it an international iconic brand. For the past ten years, carbon fiber has held the mantle, yet for all it offers nothing can match the unique look and ride of titanium. Merlin's mystique among purists lies in the details, the attention to clean lines and smooth welds, the gentle ark of seat stays, and the sturdy look of complete frames. To the discerning eye, few bikes can match Merlin's signature look, and even fewer can match its exclusive feel. Merlin's unique modulus, its alchemy if you will, means that under stress it expresses less deformity than aluminum and more than carbon fiber, making it noticeably smooth under harsh conditions, all the while transferring power efficiently from the pedals to the wheels with a light, responsive feel. Merlin's attention to detail is legendary. 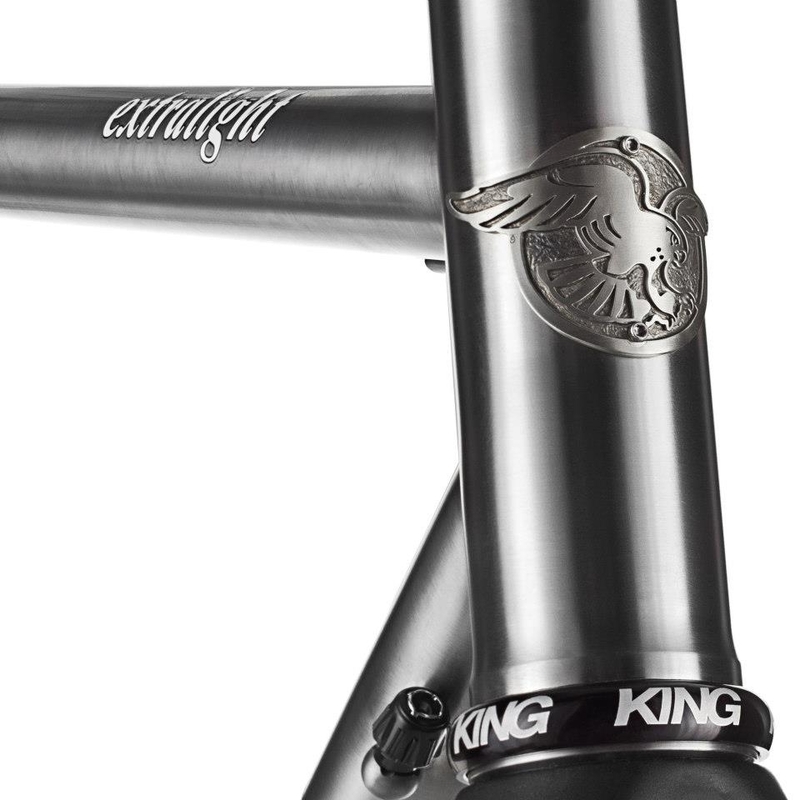 From the beautifully designed head badge featuring the famed bird of prey, to the s-bend stays, to the uniform welds at each juncture, every handmade aerospace grade titanium bike is not only a work of art but a feat of engineering. 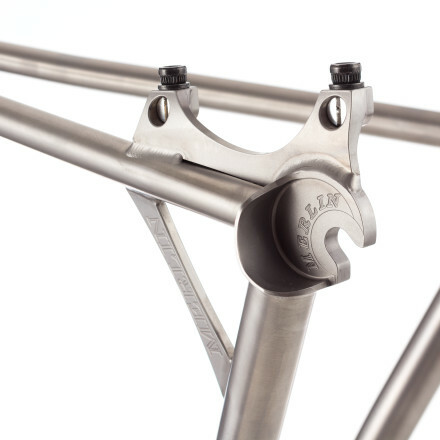 Merlin Bikes is pleased to offer financing on all of its frames and complete bikes via First Mutual Financial, affording discerning consumers the opportunity to purchase a handmade titanium bicycles at 0% for six months or 14.99% for up to five years. Please click here to learn more.